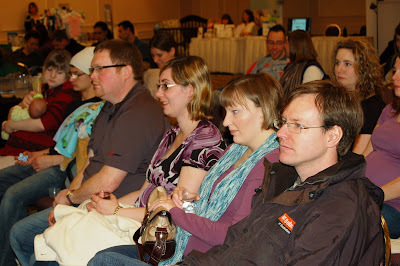 It was wonderful seeing all the expecting mothers and new babies at the Welcome Wagon Saskatoon Baby Shower last night! 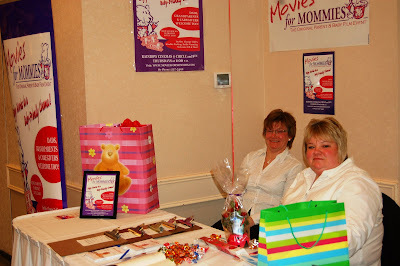 Each mom received a saskmom.com water bottle and other great gifts. We also sponsored an awesome door prize -- free admission to a Nutrition Essentials Baby Cuisine Workshop valued at $50 and a cute Baby Einstein bowl and spoon set valued at $15. 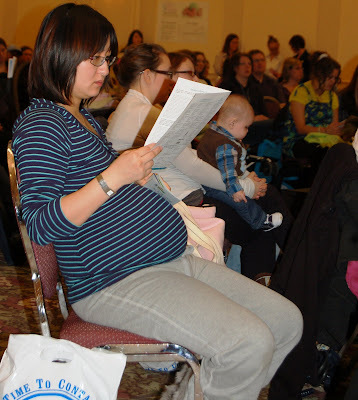 Congratulations to the winner, René, a beautiful Saskatoon mom who is expecting twins next month! I was extremely busy at the booth, but managed to snap a few pictures to share. 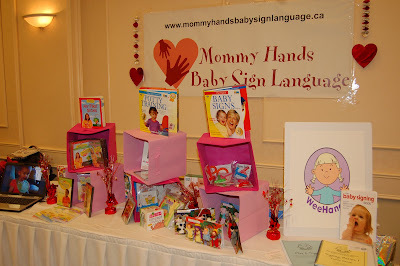 The Mommy Hands Baby Sign Language booth was quite festive with its Valentine's Day decor! 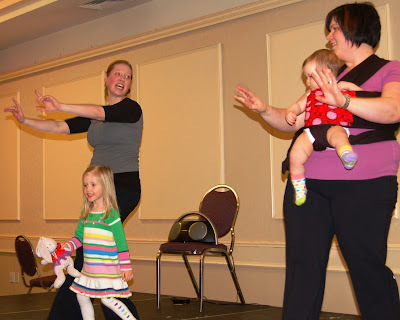 The Kirsty, Melissa & their little helpers demonstrate Salsa Babies! Lisa with Movies for Mommies tried to bribe me with candy to dispose of this picture. I took her candy and decided to post this beautiful lady and her terrific business anyway. Sorry, Lisa! 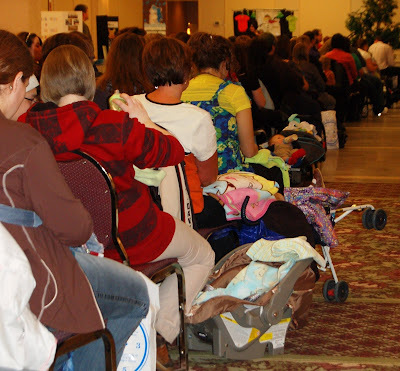 If this looks like fun (well, it was), but you were unable to attend, there will be another Welcome Wagon Saskatoon Baby Shower in the fall. The showers are free not only for expecting moms, but also moms with babies six months and under.